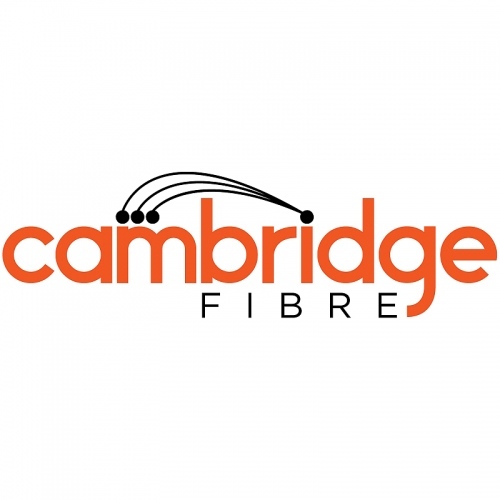 At the end of last year we revealed that a new UK ISP called Cambridge Fibre was preparing to deploy a multi-Gigabit capable Fibre-to-the-Premises (FTTP) broadband network for homes and businesses in Cambridge, Cambridgeshire (here). The provider now appears to have begun their rollout and launched packages. We still know very little about this provider, although the details published last year suggested that they aspired to build an unlimited 1Gbps Fibre-to-the-Home (FTTH) service for around 1,400 homes and a “hyperfast” 10Gbps capable Fibre-to-the-Premises (FTTP) network for businesses during 2018 (a 100Gbps Leased Line solution is also mooted). The network would use a mix of PON, GPON and XGS-PON fibre technologies. Since then the operator has finally launched its own website and their first packages. The initial network deployment will also be focused on parts of the main city of Cambridge and the nearby cathedral city of Ely, although exact details on the coverage plan and deployment time-scale remain elusive. “High-speed Internet connections are only as good as the networks they rely on. Existing broadband services in Cambridge and Ely, even those claiming to be “fibre” broadband, are still built on the outdated copper cabling, which is why so many people experience slow and lagging connections despite upgrading their packages. When companies offer fibre broadband, it is only installed up to the local street cabinet, and not directly into the home or business. These local connections, or last mile delivery, rely on the aging copper networks and this is the Achilles’ heel: the further broadband travels on copper the slower the speed, whereas fibre delivers the same gigabit speed if it is 20 metres or 20 kilometres. In fairness Virgin Media’s 350Mbps capable Hybrid Fibre Coax (HFC) network has significant coverage in Cambridge and with the future DOCSIS 3.1 upgrade we could see this being boosted to 1Gbps. Meanwhile Openreach (BT) have been deploying a fair bit of 330Mbps G.fast in the city (most of their modern coverage is still done via slower FTTC / VDSL2 lines) and a little FTTP can also be found in a few spots. As we recall Cambridge Fibre will look to harness Openreach’s existing cable ducts and poles (PIA – Physical Infrastructure Access) in order to help grow their network. If all goes well then we could see them expanding out further into the East Anglia region, possibly followed by other parts of the East Midlands and even London. In the meantime the ISP has begun offering three primary home packages and three for businesses, although one disadvantage compared to other “full fibre” (FTTP/H) ISPs is that they don’t appear to be symmetrical in speed. The ISP has also teamed up with Vonage to offer a VoIP phone service for an additional £8.50 inc. VAT per month. The price point of £38 for their Gigabit (900Mbps average) package would make this one of the cheapest such ISPs on the UK market, although those upload speeds do distract a bit from that. Nevertheless John McEleney is a man with plenty of experience in the industry and the ISP has wasted no time in both joining the ISPA and an Ofcom approved ADR provider (Ombudsman Services), which gives us some confidence that this little start-up is going in the right direction. I tried to register with Cambridge Fibre this morning, but site randomly directs you to spammy adverts both on landing and when you hit register. It looks like their business is click baiting. Weird. Thanks Mark, I am quite confident this is not a computer issue. 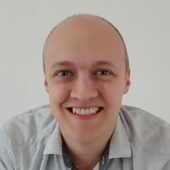 The ‘problem’ is visible in the html of the site. I’ve seen it from my phone and laptop on different networks and different browsers. As I type, it appears to be working as intended again. Those are very strange asymmetric splits – with a real danger of saturated upload restricting the achievable download capacity – I wonder why they feel the need to be so restrictive? The upload is restrictive because they rely on BTs existing network and are not creating their own. Er that answer by Steve is weird. They aren’t using VDSL so, again, why restrict the upload. You want to know the REAL reason ? 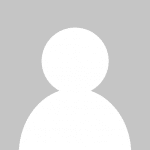 Afraid you will rack up bandwidth bills by torrenting or running sites on your boxes at home. I laugh that someone provides gigabit fibre but 50mbit upload LULZ. Even if they are using PON technology, the splits don’t make sense. Given the mix of profiles they are offering, the splits look about right if this were a GPON network using fixed bandwidth allocation on the upstream. The good news is this would effectively mean your upload is uncontended (on the PON at least) and low latency and hence you ought to be able to get the advertised downstream rates without the upload being a problem. I seriously doubt the restrictions are about saving on transit costs – even a small provider should be able to pick up transit for far less than the cost of building their own infrastructure these days, and it’s not going to be about stopping you from doing hosting as they are not a hosting provider. However, they do appear to be offering symmetric leased-line services as well and they’d be fools to undermine their own market by selling equivalent services at consumer broadband prices. 3x VM lines bonded would be so much cheaper (and if VM are only gonna have 1Gbps/50mbps then faster too! Was that price from Cambridge Fibre? I spoke to Mark at Cambridge Fibre earlier and was offered a free installation in Chesterton on the Gigabit voucher scheme. The 1Gb option is only £38 Inc. Vat. Seen an item which needs amending Mark – Vonage recently upped their pricing to start at £9.25pm. Here I am … stuck in the middle with none…. Is there any in Bedford that sits in between all these cities ? Nope….